We are very proud of our products and services and believe we offer excellence in customer service. Please feel free to browse our reviews on Checkatrade (click the Checkatrade box to open a new tab). 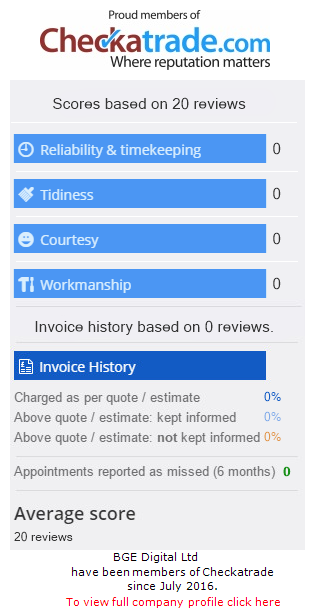 All reviews posted on Checkatrade are independent. The words used are the opinions and expressions of our customers and we hold these in high regard. Please also see the Checkatrade website for details about the scheme. **New** state of the art Orisec systems available now!